How do you gauge a movie's impact? Is it in numbers? Is it in imitations spawned? Is it in pop culture references? Or is it, as in the case of Back to the Future, in reality altering itself to match fiction. If you're familiar with the franchise - and if you're not, who are you? - you know that October 21, 2015 is as far in the future as Marty McFly (Michael J Fox) and Doc Brown (Christopher Lloyd) went in their DeLorean time machine. The original Back to the Future movie hit theatres in 1985 and became an instant phenomenon; the two sequels in 1989 and 1990 didn't do quite as well as the original but the franchise had nonetheless been well and truly established as a cult in the making. When Marty does arrive in the future, there's a lot going on - flying cars, self-tying laces, hoverboard, smart glasses. A chap needs sustenance to keep up with it all. 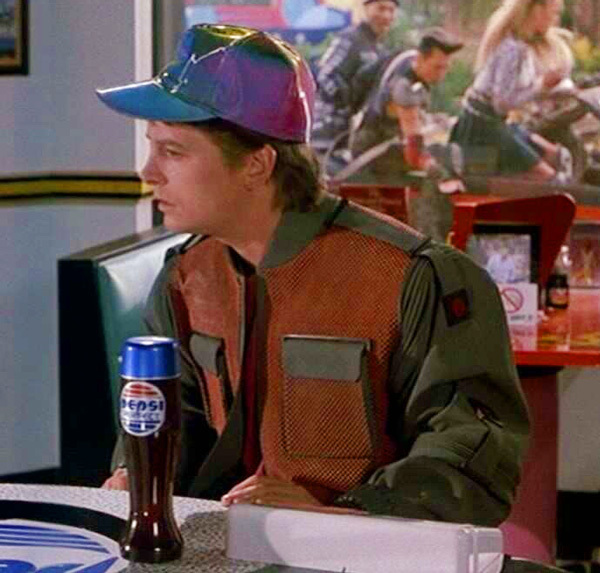 For Marty, that's in the form of Pepsi Perfect, the drink he orders when he arrives in 2015. So this month Pepsi announced they're releasing 6,500 bottles of Pepsi Perfect, to honour the drink immortalised in the film. And it will only be available tomorrow. The price? An exorbitant - but symbolic - $20.15, to mark the date. And since it's likely to have serious collectible value, one cola-guzzlers will be able to recoup on eBay a few years from now. The story of how Pepsi landed the original product placement is fascinating - especially since rivals Coke had a placement program for over 20 years by this time. Coke had also, in 1982, acquired Columbia Pictures, which gave them a virtual stranglehold on Hollywood. But with Pepsi Perfect - so named because the creators imagined a meal in the future would be perfect in every way, nutritionally included - the company hit the ball out of the park. And they're not willing to let that ball drop. At Comic Con in New York earlier this month, Pepsi set up a Back to the Future booth and handed out free bottles of the drink to the first 200 to show up to the booth dressed as Marty McFly every day. This is what's going on in the movie business when Marty shows up in 2015. 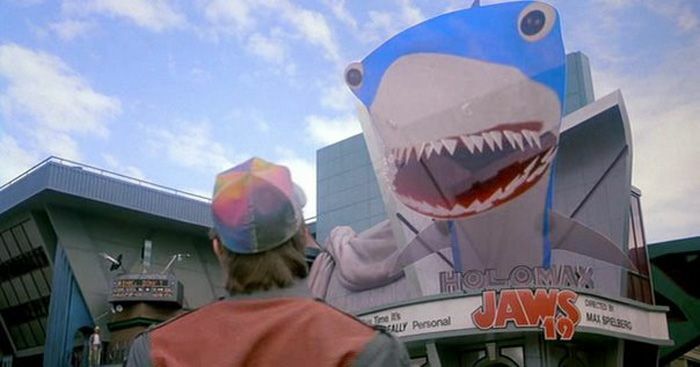 Holograms are certainly a thing in 2015, but movie halls - nowhere near as exciting as Marty found. If you're in New York tomorrow, take a Lyft. The ride-sharing app will have a McFly mode on their app in partnership with Universal and Verizon - and an undisclosed number of DeLorean's on duty between 11 am and 5 pm. The DeLorean, in case you weren't born then, was an early 80s sports car featuring gull-wing doors and an unusual fiberglass chassis. It was the car modified for use as the time machine in Back to the Future. If you manage to hail one tomorrow, the ride is free - yay - but travelling back or ahead 'in time' depends on hitting 88 miles per hour (the speed in the film at which time travel kicks in). Since city speed limits are less than a third that, don't count on getting anywhere - even in the present - particularly fast. It's just a trailer for the moment, but Toyota used the occasion to bring Doc and Marty back together to examine how different the future looks from what they imagined it would be. The full conversation - aptly shot seated in a diner - will be released today. Have momentous date, shall count down. There's also a Facebook page with over 60,000 likes and counting. They're them to post on the 29th minute of every hour, so expect trivia, games, celebrity posts, and just as much of the future as you can handle. In a 19-year career Payal has been, among other things, editor of Cosmopolitan India, executive editor of a travel and design magazine, and worked briefly in lifestyle TV. 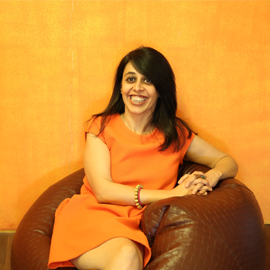 Prior to joining Catch as Editor-at-Large, she was executive director of THiNK, a cutting-edge ideas event in Goa. She has a borderline manic enthusiasm for red wine, all things digital, Goa and chewing her nails, in no particular order. At Catch she oversees all things fun, features and lifestyle, including the site's internal Slack channels, which she runs like a personal fiefdom. Cricket at the mercy of goons: is this the image the govt wants to project?